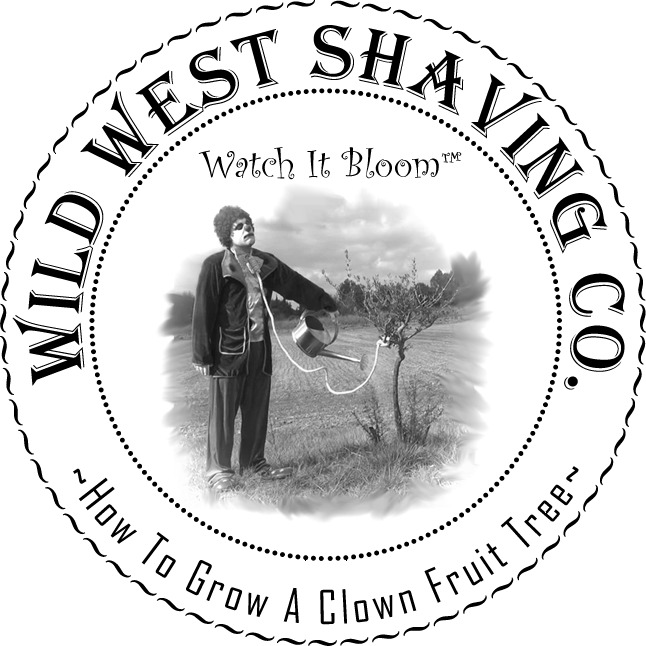 How To Grow A Clown Fruit Tree - Shaving Soap - "Re-purposed Hay & Grain, with A Touch Of Fruits & Nuts"
Fragrance: "Re-purposed Hay & Grain, with A Touch Of Fruits & Nuts"
Soap Ingredients:Tallow, Stearic Acid, Water, Glycerin, Coconut Oil, Castor Oil, Potassium Hydroxide, Sodium Hydroxide, Fragrance, Bentonite Clay, Sodium Borate. With scents of... "Re-purposed Hay & Grain, with A Touch Of Fruits & Nuts"
But, the real magic begins as it completes its mature scent "Aged for 6 minutes in oak barrels imported from Kentucky during a waning quarter moon". This is a very "Limited Edition", as there were only 14,596 copies made. So, for the serious collector, you may be in luck if you hurry. The greatest joy is to Watch It Bloom™ ! Note: The word "Bloom" may, or may not be a registered term by someone in the wet-shaving public domain, and is displayed and provisioned here by the act for fair use and other educational uses. (In other words... a license to steal).